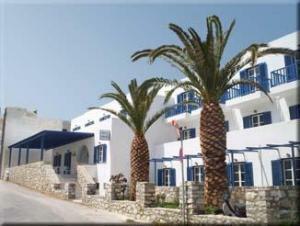 Adonis Hotel is built following the traditional architectural style of our island. It is a modern tourist unit which combines the class and the austerity of the Greek tradition. Adonis Hotel is located at the beautiful and sunbathed beach of Apollonas. Apollonas is the perfect place for you to enjoy peaceful vacations in a natural environment of unique beauty. In the warm family atmosphere of our hotel we have the ambition to offer you what we call "Greek Hospitality"